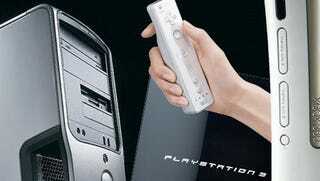 Question of the Day: PCs or Gaming Consoles? Despite the fact that consoles have become the primary platform for most gamers, there is still a die-hard fanbase that prefer PCs based on factors like the online experience you get with games like WOW, the level of control that a keyboard and mouse can bring, as well as the potential for better performance. So the question is, where do your loyalties lie?